Ah! The IT-department. Run by a dynamic go-getter, a genius and a man from Ireland. How often do you upgrade your storage array software? Having managed and implemented upgrades on highly available systems such as the old Sun StorageTech line of rebranded HDS USP/VSP arrays back in the day, I can tell you that we did not take upgrades lightly! Unless there was a very compelling reason for an upgrade, the line taken was always “if it ain’t broke, don’t fix it”, but then we were looking after storage in a massively high security environment where even minor changes were taken very seriously indeed. When it came to storage we didn’t have or need anything very fancy at all, just a some high performance LUNs cut from boat loads of small capacity 15K drives, a bit of copy on write snappage to a set of 3rd party arrays and some dual site synchronous replication. Compared to some of the features and configurations of today, that’s actually pretty minimal! Now this approach meant that the platform was very stable. Great! It also meant that because we only did upgrades once in a blue moon, the processes were not what you might call streamlined, and the changes made by each upgrade were typically numerous, thereby running a pretty decent risk of something breaking. It was also key to ensure that we checked the compatibility matrix for every release to ensure that the 3rd party arrays would continue to function. They say that software is eating the world. I’d say it seems the same could be reasonably said for the hardware storage vendors we saw at Storage Field Day 8, as they seem to mostly be moving towards more Agile development models. Little and often means lower risk for every upgrade as there are fewer changes. New features and improvements can be released on a more regular basis (especially those taking advantage of flash technologies which are changing by the minute!). A significant number of the vendors we saw had internal release cycles of between 2 and 4 weeks and public release cycles of 2-8 weeks! In the case of one vendor, Pure Storage, they are not only releasing code every couple of weeks, but customers have obviously taken this new approach on board with vigour! Around 91% of Pure’s customer base is currently using an array software version 8 months old or less. An impressive stat indeed! That said we need to be realistic, we don’t live in ye olde world any more. Every part of the industry is moving towards more agile development techniques, driven largely by customer and consumer demand. If the “traditional” storage industry doesn’t follow suit, it risks being left behind by newer technologies such as SDS and hyper convergence. There is one other key benefit to this deployment method which I haven’t mentioned of course; those big scary upgrades of the past now become minor updates, and the processes we wrap around them as fleshy sacks of water become mundane. That does sound quite tempting! Perhaps upgrades aren’t that scary any more? I’d love to hear your opinions either way, feel free to fire me a comment on twitter! Well that’s it, its all over! Having never been to a VMworld prior to this week, I have to say the event does indeed live up to the hype! Day three started pretty subdued, not only from the point of view of the attendees, but a couple of the presenters as well; it definitely seems people had a good time at the VMworld party the night before! Mixing in a bit of session time with a visit to the solution exchange and a bit of Hands on Labbing was the order of the day. I did have a quite amusing chat with one of the guys working on the Oracle stand. He said that the vast majority of people who had spoken to him had berated them about licensing and support in virtual environments, along with asking why they were advertising OVM at a VMware event. I think the poor guy was not far from the end of his tether! My last role was at Oracle, so I can fully feel the pain around the license questions as it was almost always the first thing people asked me about when I told them I worked there! It doesn’t help the fact that the latest licensing hard vs soft partitioning guide is still only from 2011! One thing I will be very interested to see is what becomes the defacto stance on how many hosts you must license once share-nothing VMotion between clusters, vCenters and DCs comes along in vSphere 6. It begs the question whether any Oracle auditor might have the audacity to suggest that you need to license all hosts in all DCs? Rawlinson Rivera & Kiran Madnani provided a very useful overview of a number of example use cases and how to apply different VSAN configurations. As this was covering multiple use cases there was some repetition of content, but not so far as to be distracting. Key takeaway, when it comes to disk groups, more = better! Being a bit of a storage geek, for me this was one of the best sessions of the entire week. Not only entertaining, but the quantity and quality of the information was intense to say the least! A couple of key areas which they covered were around benchmarking of storage (not just using the standard 4k 100% Read profiles which vendors use to produce stats for their marketing material). It’s always interesting to see how real customers found the use of a technology. Arsenio Mateos from Trend Micro was not particularly detailed in any specific issues they experienced, as he concentrated more on the decisions behind the solution, and the benefits it broupght them. Cormac on the other hand was very open and when into some detail as to some of the configuration issues and bugs which were common among other customer deployments. I was also the grateful recipient of a signed copy of the book Cormac co-wrote with Duncan Epping. My final session rounded out the end of the day. I don’t currently use or design VMware Horizon View in my current role, when most commonly customers have managed RDS or Citrix XenApp farms. 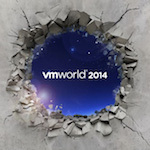 I mainly went to the session to see the VMware approach to sizing the new session host desktops on Horizon 6. Unsurprisingly it turns out that they come out with very similar ratios and guidelines as Citrix do (shocking)! The really interesting takeaway for me from this session was the VMware View Planner tool, which looked like it could definitely have some value in load testing and gauging the requirements for customers with or without VMware View. By this time it was 4.30, and everything had closed. If I’m honest I was a bit gutted as I had believed the HoLs were going to be open until 6. I was most of the way through my NSX lab, so I guess I’ll just have to finish it up from home! After the event, my remaining colleagues and I wandered into town to check out the Sagrada Familia, and grab some light refreshments + tasty tapas. Session Surveys – The one thing I didn’t actually get done at the show (but I plan to fill in this weekend), was the session surveys. I understand these are as valuable to the speakers as to VMware, so I have no issues spending a bit of time giving feedback. If you haven’t already, then I suggest you do, especially if you want to see the same guys & gals back next year! Keep the hang space and hands on labs and/or solution exchange open until 6pm on day 3. It’s minimal extra effort but it will allow attendees to make the absolute most of the event and facilities, especially those who don’t have an early flight back the same day. Free Segways or (or foot massages) for all attendees! I enjoyed a wander or two around the solution hall, but for me the best and most useful elements of the entire week were the breakout sessions (and being there live giving me the opportunity to ask questions at the end), and networking with others both in the event and at the vendor sponsored evenings. As a side note, I will probably be creating PDFs of all of my notes and posting these on the blog imminently for anyone who may find them useful. So finally a big thank you to everyone who made VMworld a success; the organisers, the vendors, the speakers, the HoL team and all of the people with whom I had the such interesting and entertaining discussions! Number of steps walked No idea as I don’t have a Fitbit! It’s now quite late on Wednesday night / Thursday morning and having just returned from the VMworld party, I thought it was worth jotting down a few thoughts about the last two days. We started with the opening keynote, which I had decided to attempt to blog “as a challenge”. Wow, is it hard work or what? For those of you who read the live blogs from guys like Scott Lowe, Barry Coombs with his Doodles etc, this has given me an even more massive appreciation for what they do. Being able to take in, process and document that level of information is just incredibly hard, never mind adding commentary and analysis on top and live publishing it as they go! I wrote most of my content live, but then took at least an hour later in the day to proof read it, correct it, etc. I honestly don’t know how they do it?! This one was more focused on the new features in vSphere than anything else, a few interesting nuggets though. I will probably post some of the notes up soon, though much of it is already in the public domain anyway. Great session by Dave Hill of vCHS (correction, vCloud Air). Including some architectural tips. Worth a watch when it is available online at vmworld.com. I then spent a bit of time in the bloggers lounge updating some bits and pieces and catching up with some of the guys there. My final act of the main part of the day was to hit the Solution Exchange for a bit of a wander. I mainly concentrated my short time on EVO:RAIL, where I happened to bump into none other than Paul Meehan (@paulpmeehan), with whom I have had many a twitter chat but never actually had the pleasure of a tweet up! Following that I spent some time at the Veeam stand, discussing the best practices for Veeam infrastructure design along with some of our more interesting use cases and requirements. After the main event, myself and a colleague headed over to the service provider reception. Wow, did we turn up under dressed or what?! It was one of those awkward moments when your realise that you are one of the few people in the room who forgot to bring a suit! On the plus side there was some really great discussion around vCD, VCAC etc and much learned from the evening, so well worth it. I then headed over to the vExpert event at Ocaña to soak up some of the atmosphere and knowledge from some of the most intelligent and influential people I know! There were of course some vRoyalty including VCDX001 (John Arrasjid), VCDX #44 Willy Lee, and many more. After that a couple of hours were spent at the Veeam party, after which I though it best to head back to my hotel to make sure I don’t wake up tomorrow with a hangover! Being focussed on the UK mid-market, my organisation spends a lot of time trying to understand the requirements of medium sized businesses. It was great to see some familiar faces in Paul McSharry and Alasdair Cooke, leading the panel discussion. This was a funny one as it was Scott Lowe and Brad Hedlund flipping in and out of character as server and network guys respectively. Plenty of great lessons to be learned, with a focus around RBAC, Visibility, Monitoring and Troubleshooting in NSX. Nimesh Desai presented one of the most amusing, and most deep dive sessions of the day (for me). Absolutely brilliant content, but afterwards I felt like I needed to hide in a dark room for an hour or two and let my brain catch up! I was lined up to head to another NSX session after this but I will catch it online next week instead. After the NSX session I headed down to the blogger area and caught up with some of the chaps. Craig Kilborn kindly shared his VCDX experience with me, along with some of his design. The level of detail and effort you need to go to to even get the opportunity to defend a VCDX design is immense, and it really drove home to me the value of the process. I’m not sure my wife and kids are ready for me to disappear for the next 6 months in order for me to attempt it! Jonathan Medd (famous for automating anything that moves! ), and I headed along to the vExpert Storage Game Show, organised by John Mark Troyer and Amy Lewis (in much the same way an asylum is organised by the guards!). It was bedlam, but great fun was had by all, whilst at the same time providing an interesting and engaging atmosphere. If Pure decide to run this again next year I will definitely be attending, given half a chance! Rounding out the day was an excellent panel session with some of the most well known VMware bloggers / evangelists. Discussions ranged from stretched cluster deign, to book authoring, to VIO, and many topics in between. Quote of the session was from Chad Sakac… “Innovate or Die”. With the sun heading for the horizon, myself and a couple of my colleagues caught the end of the Hall Crawl, followed by the awesome VMworld party. Simple Minds were excellent and the crowd really seemed to get into it. I managed to bump into a few more community people in the cavernous space which is Hall 6 at the Barcelona Fira Gran Via, and finally I grabbed a cab back to the hotel to get an early night (early meaning 1.30am it seems!). Overall, a thoughrougly entertaining, informative and educational couple of days. Tomorrow the main plan is to hit a number of key sessions including the Chad and Vaughn annual roadshow, then in the afternoon stick around in the Hands on Labs until we get thrown out at closing time!